When John and I embarked from our cruise ship in Perth last week, we decided to enjoy some of the delights this city had to offer. 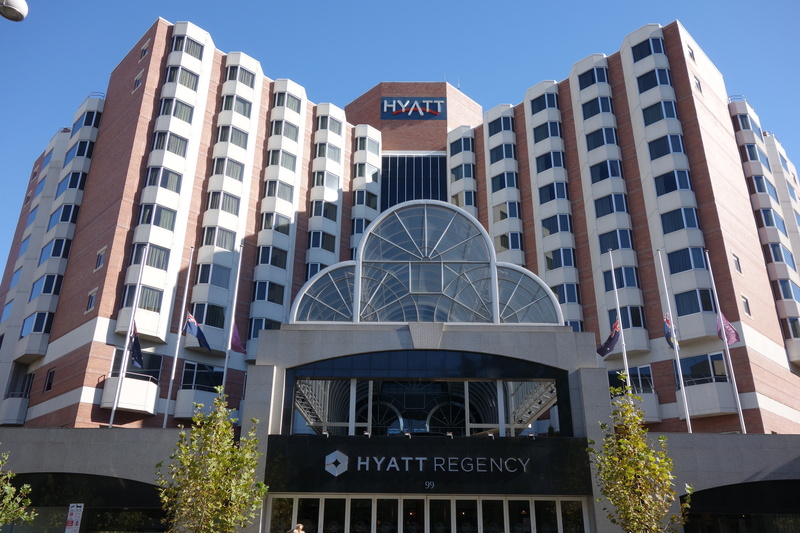 Our choice of hotels was the Hyatt Regency Perth. We have previously written about the extra options available when booking a room on a Hyatt Regency Club Floor. We particularly enjoy the complimentary drinks and canapés which are served for two hours each evening in the Club Lounge. Like being at a cocktail party, it’s also nice to mingle with other guests and strike up a conversation. I like sitting in their comfortable chairs and lounges while I catch up with reading my emails, especially now that Hyatts offer free internet to all guests throughout their hotels. 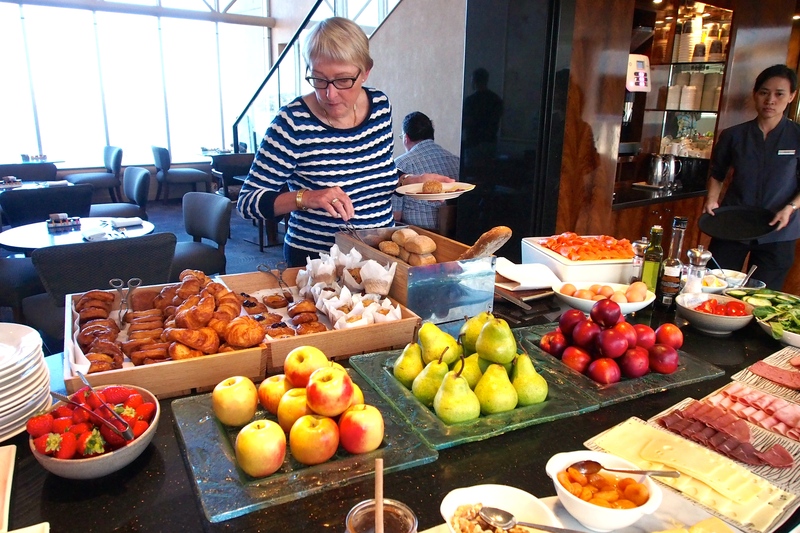 Complimentary breakfast offering a wide selection of cereals, pastries, breads, fresh fruit, smoked salmon and so much more is available each morning, along with coffee, tea and newspapers. The Lounge is open throughout the day for light refreshments or just a place to relax. Our spacious room had views overlooking the Swan River and a huge king size bed, that I found hard to drag myself out of each morning. The well stocked mini bar, with wine glasses and treats was just about the best I had seen in any hotel. The desk, complete with office chair gave you no excuse to put off catching up with some work. The bathroom had a large shower recess and was stocked with hair products and moisturisers, so no need to remember to pack these items. 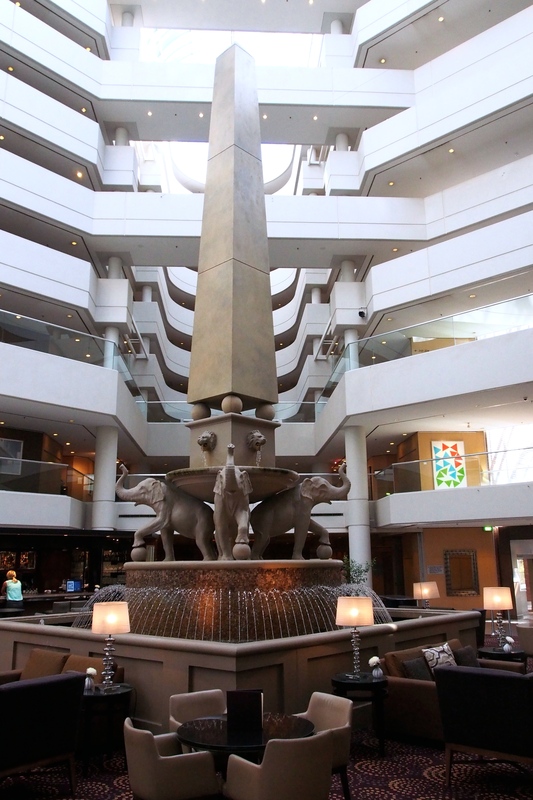 It’s very easy to access Perth’s central business district and shopping area from the hotel by using the hotel’s city shuttle. Also just outside is a bus stop and Perth offers the bonus of the buses being free within the city zone. The famous WACA ground is also just a short walk from the hotel. Other features available at the hotel are a heated outdoor pool, tennis court, fitness centre and spa, Asian restaurant and a Lobby Lounge bar. This entry was posted on Thursday, May 7th, 2015 at 9:55 am and is filed under Uncategorized. You can follow any responses to this entry through the RSS 2.0 feed. You can leave a response, or trackback from your own site.